What is a partial MCL injury? The Yorkshire Knee ClinicKnee SurgeryWhat is a partial MCL injury? 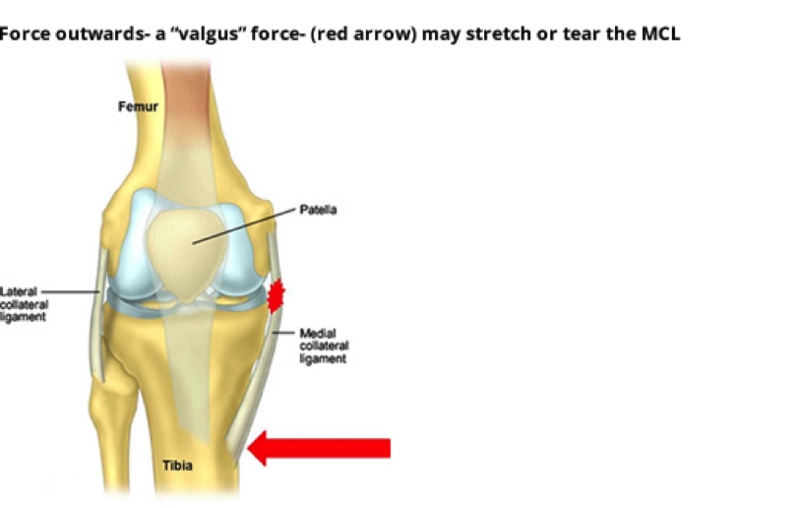 The MCL or ‘Medial Collateral Ligament’ is a strong ligament found on the inside of the knee. In a normal knee the ligament prevents abnormal side to side movement. The MCL is commonly injured during contact sports such as rugby or football. The classic injury is another playing making heavy contact to the knee when the foot is planted on the ground. This bends the knee inward and consequently puts immense force through the ligament. The severity of the injury depends on the force of the impact. 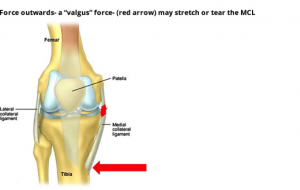 In a partial tear the ligament is stretched with only a small amount of the ligament tearing. In more severe injuries the ligament can fully rupture. Fortunately, if the injury is picked up quick enough, the vast majority of these injuries can be treated with bracing and the ligament will heal itself. If the ligament is not treated in a brace this could lead to ‘slackness’ of the ligament and surgery may be required to correct the problem. For more information about MCL injuries https://yorkshirekneeclinic.com/knee-conditions/complex-knee-ligament-injuries/ or how to get your knee injury assessed contact ….